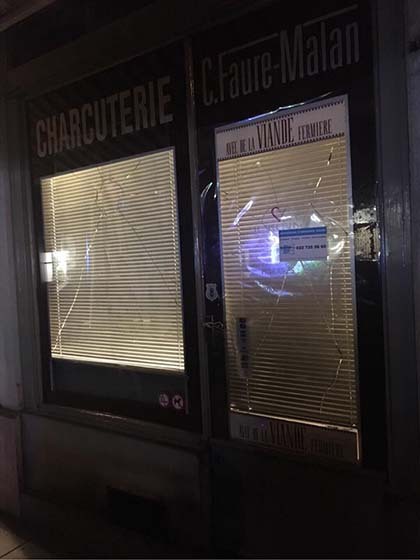 "A butcher shop in Geneva was targeted smashing the windows. 'Violence is also a citizen's weapon of self-defense, an essential weapon of social and political conquest. Because nonviolence is illusory, we must destroy places of oppression.'"